Big changes are coming for the 5.1 million active and retired feds and military personnel with Thrift Savings Plan accounts. The major one involves making it easier for TSP participants to make withdrawals from their accounts. Current rigid withdrawal rules are one of the primary reasons that 40 percent of the people who leave government withdraw all their money from the $542.4 billion retirement account. Today on our Your Turn show, Kim Weaver, director of External Affairs for the TSP, talks about the changes, and what people shouldn’t be doing — as in panicking — because of the nose-dive the stock markets took on Monday. You can listen live at www.federalnewsradio.com or at 1500 AM in the D.C. area. 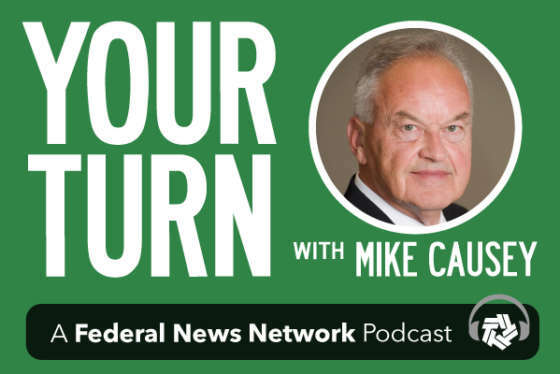 Federal News Network Senior Correspondent Mike Causey discusses everything from pay, benefits and retirement, to buyouts, COLAs and pay freezes. Call the show live Wednesdays from 10-11 a.m. at 202-465-3080 with your questions. Dial 605-562-0264 to listen live from any phone. Send Mike an email with your questions and comments for the show. Don't miss an episode by subscribing to Your Turn on iTunes.